Optimum Moving is the moving specialist you can count on for a smooth move in the Tri-State area. Since our inception, we have been a trusted, full service moving company that caters to a wide range of relocation needs in Metuchen. We have the experience and expertise to eliminate all the headaches associated with moving. Metuchen is a borough located in Middlesex County. Incorporated in 1900 from portions of Edison, it is also located approximately 13 miles southwest of Newark and 5 miles northeast of New Brunswick. Metuchen has a total area of more than 2.7 square miles and has been a state-designated transit hub and town center. Metuchen offers its residents a modern suburban, small-town life, and is very accessible to New Brunswick and New York City. 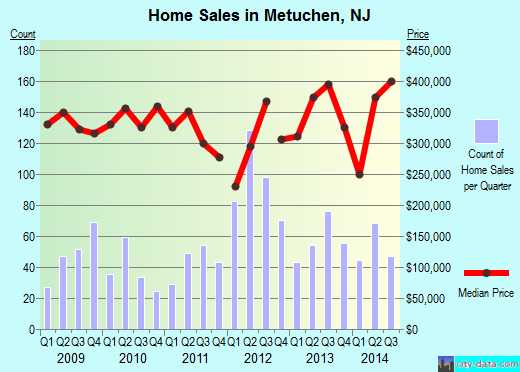 The average condo or house in Metuchen costs about $367,705 and a majority of its residents opted for homes with at least three to four bedrooms. Statistics show that more than 70% of the 13,756 Metuchen residents choose to live in the same house for at least five years. Studies have shown that house and condo owners live in their respective properties for an average of at least 17 years while renters have a consistent track record of living in their rented properties for an average of two years. Metuchen Area Code: 732 and 848. At Optimum Moving, our moving team comprises of highly qualified professionals who are trained to handle all types of relocation jobs. They are trained to operate advanced moving equipment and that’s why all your precious possessions are fully intact during and after the move. Whether it is a small move or a long distance move, Optimum Moving is the NJ mover you can trust as we are accredited by the State Department of Transportation. Simply put, we are well-equipped for the job. What’s more, we provide an unmatched level of flexibility to meet your unique moving needs. When you work with Optimum Moving for your relocation needs, you can be sure that you are in control of your move! Want to learn more about a Metuchen Move?